A tablet might be irresistible, but bashing away at a virtual keyboard on a touchscreen certainly is not. 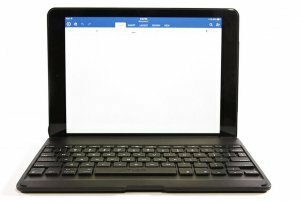 OK, so tapping out the odd message or email is fine, but anyone after serious productivity on an iPad or Android tablet needs a good add-on keyboard. Capable of creating a mobile and compact office that cuts down on clutter and weight, wireless Bluetooth keyboards come both separately and in cases custom-made to suit specific tablets - most often the iPad, although iPad mini products are beginning to emerge, too. Logitech makes a play for the best and most versatile Bluetooth keyboard around for any kind of use - mobile or desktop - with its slick illuminated K810. The headline feature is a thing of wonder; as your finger approaches the keys they subtly light up from behind, only to fade out a second or so after your pinkies have left the letters. LED-powered so using negligible power despite this trickery (its mini USB-fed battery is slated to last for over a week), the K810 nevertheless peaks not with flashy features but solid usability. The keys are soft to touch and nicely spaced to avoid mistakes and mis-types, with Windows 8 keys included, too, though it's the trio of Bluetooth connections that are as much of a standout feature; up to three LED indicators are lit as your pair up to three devices with the Logitech K810, which makes switching between a tablet, phone and desktop PC a cinch. Fashioned from brushed aluminium and weighing around 335g (11.82oz), the K810 is reference quality in performance as well as price. Gripping its guest at the corners though being careful to leave a gap for the iPad mini's headphones slot and a cut-out for the 5 megapixel camera, a magnet ensures the whole thing stays securely closed. 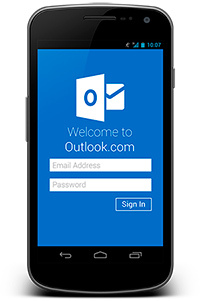 It pairs over Bluetooth very easily, and the accurate, comfortable keyboard also operates basic iOS functions. The slight downside - apart from the high price - is that the keyboard isn't quite as sturdy as it could be, and if hammered at it does arch inwards. It's said to last 155 hours on a single charge. One of the smallest and best value keyboards around, this decidedly plasticky effort from Cygnett measures just 218 x 91mm (8.58 x 3.58 inches( and weighs 220g (7.76oz). In the box is a retractable mini USB cable for recharging. 10.1 inch secren display, 5 point capacitive touch screen, 1024*600 resolution.